Ride a bike: Rita Jenni-hooping! Aw, you ole flatterer, you. What a hoop, er uh, I mean hoot. 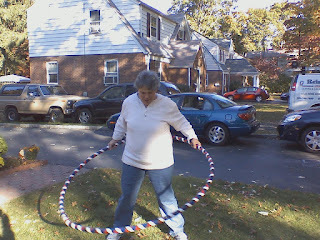 Rita, I didn't realize you were a hula hoopist!